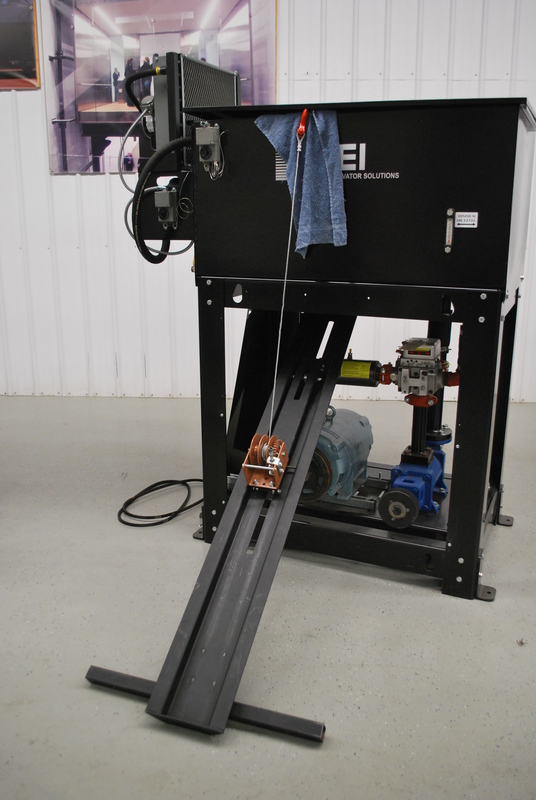 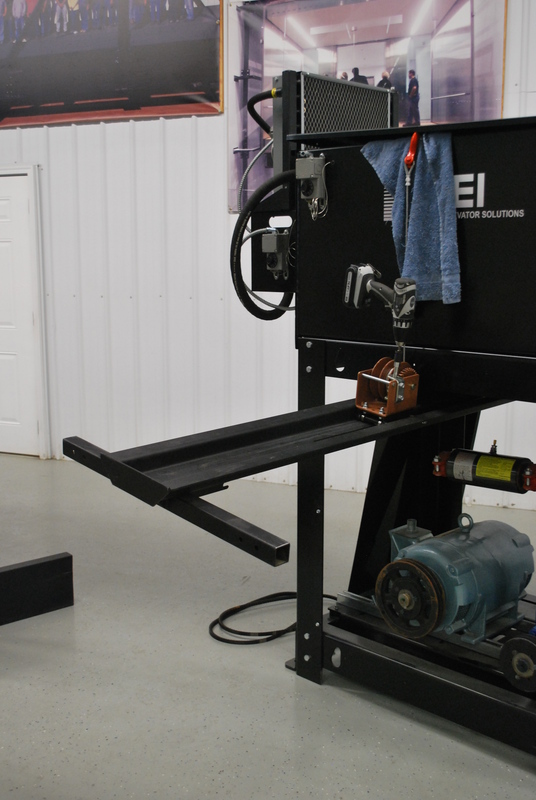 MEI’s NEW Dry Pully Bully makes changing a dry motor an easy proposition. The Dry Pully Bully is a safer, more streamlined method that will save you time and stress on your next service call. 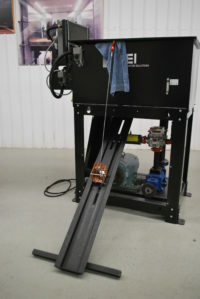 Roll the Dry Pully Bully into the machine room. 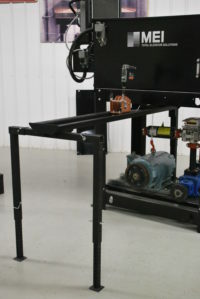 Attach the winch hook on the top edge of the tank wall and winch the frame into position (see photos). Set up the hoisting frame legs for the ideal lifting position. 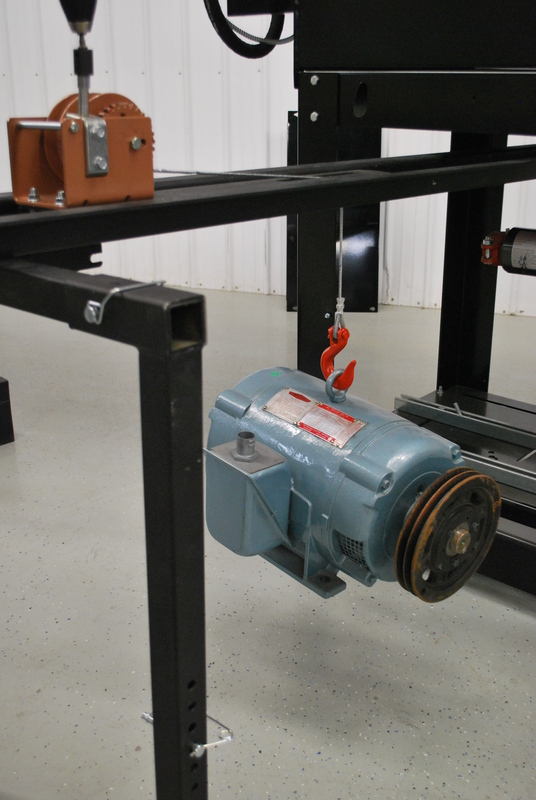 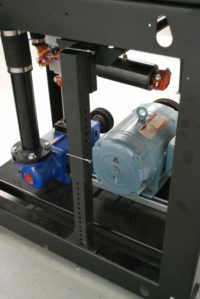 Use the winch to lift motor and trolley out onto the machine room floor.